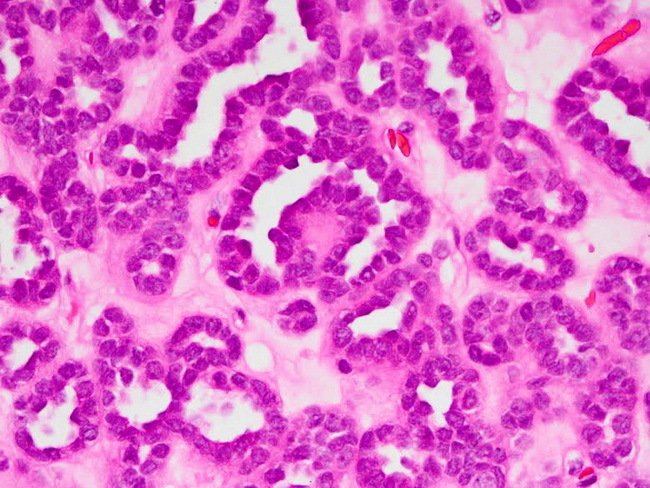 High magnification view showing tubular and papillary structures. The nuclei are uniform and round and lack atypia. Case courtesy of: Dr. Abdul Haleem, Dept. of Pathology, King Abdul Aziz Hospital, Al-Ahsa, Saudi Arabia.